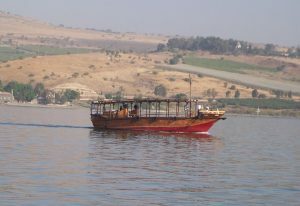 We started the day by visiting the Ancient Boat from the time of Jesus and then we got on a REAL boat and went for an hour on the Sea of Galilee. I told my story about my night fishing with the Jewish fisherman. 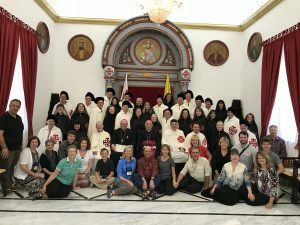 I told my conversion story along the way and we arrived in time to put on our regalia as Knights and Ladies of the Holy Sepulchre to meet the Bishop of Jerusalem and to have our Solemn Entry into the Tomb. Enjoy! It was just a normal morning — alarm clock, shower, espresso, dress and a saunter down the sidewalk to work. For Paul, it was another day with a whole lifetime ahead of him. But today was different. Someone else got up this morning too. They had their coffee dressed and jumped in the car. They tried to catch up on their phone calls along the way and didn’t notice the car stopped in front of them. He swerved and his car jumped the sidewalk. Paul didn’t even have time to blink. The car slammed into him as he walked to work and he was dead. It was over. No time to think. No time to call out to God. He was dead in an instant. Was he ready? Where is he now? I don’t know. A while ago in Rome, I was just out for a run along the same sidewalk. 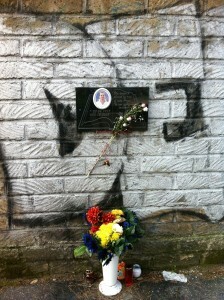 I saw the memorial bolted into the wall with flowers and prayers. Paul’s family hopes he is in heaven. 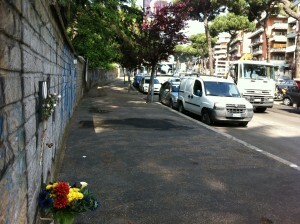 They still bring flowers, light candles and pray at the place he was instantly killed. I stopped my walking. 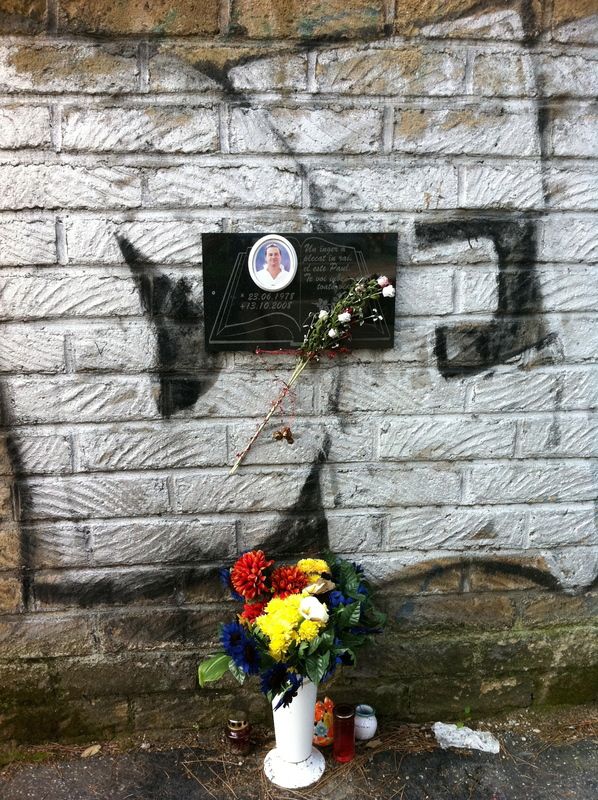 I pondered the memorial — Paul’s picture. 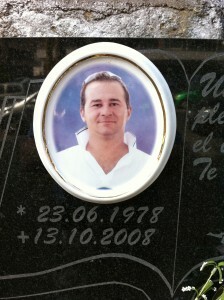 He was a young man; looks like about 30 years old, handsome and full of life. Did he leave a wife and kids behind? Was he a church-goer or had he dropped out for more important things? Flowers, candles, prayers, tears, longing, hope, sorrow, loneliness, regret. All of this was obvious from the remembrance placed on the sidewalk. I crossed myself, said a prayer for Paul though I have no idea who he was — or is, I should say because life does not end at death but goes on in heaven or hell. I suspect he didn’t know his life would end at 8:46 AM that morning. Nor did anyone else. Makes one wonder if his life was in order. Had he gone to confession? Did he harbor grudges against family or friends? As I prayed and meditated a bit on the sidewalk, I thought of my own life and once again realized how fragile we are and how crucial it is to be right with God and the world at all times. We never know when a cell phone call or an absent-minded driver might snuff out our life. It’s a good time to take a quick evaluation of your life. Are you ready to die? For my story, The Last Nightmare: the Story of a Soul, click here.